Are you looking for a delicious apple muffin recipe for kids? Look no more, try this easy one. Even kids can help you make it and eat it. I am lucky to have a daughter who loves eating apples. My son does eat them too but with his braces, it is a bit of challenge for him. With apple season in full swing, I make sure to stock up on this delicious fruit. But there is so much you can eat, and you don’t want apples to go to waste. 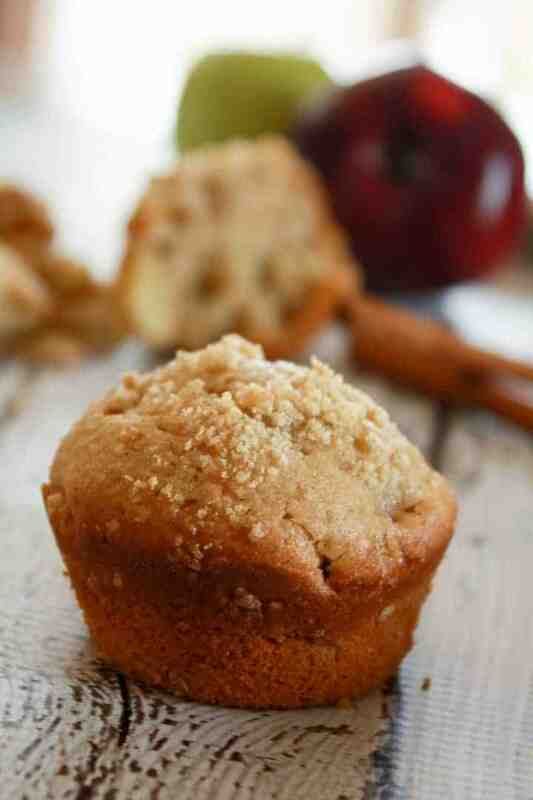 One of my favorite ways to use them is in apple muffins for kids. They are delicious, easy to make and perfect as a school snack. Little one helps with the baking process (and the tasting one too). She enjoys baking and messing around with the ingredients a bit. It is also an excellent way to practice her math skills: measuring, counting, adding, etc. Let’s see how you can make these muffins for kids. Do you have a favorite apple muffin recipe for kids? What do you make with your harvest? Tell us in the comments! 2 apples cored, peeled and finely chopped. 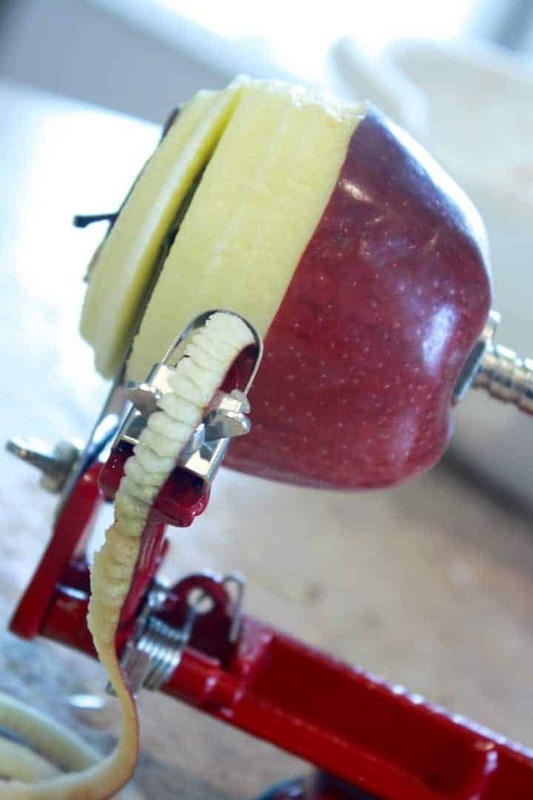 I am in love with this apple peeler. Combine 1 1/3 cups flour, brown sugar, margarine and apple butter in a large bowl. Mix with a pastry blender until mixture is the consistency of fine crumbs. Set aside 1/4 cup for topping add remaining flour baking powder baking soda cinnamon and salt to the same bowl. Mix well. Slowly stir in milk or buttermilk egg vanilla and apples stir until just moistened. Evenly divide batter among 16 greased muffin cups. Sprinkle with preserved topping bake at 400° for 20 to 24 minutes or until a toothpick inserted in center comes out clean. My daughter loves these apple muffins for kids. She eats one right out from the oven. I find they are best when they are still hot. There are endless ways to use apples in baking, other than muffins. 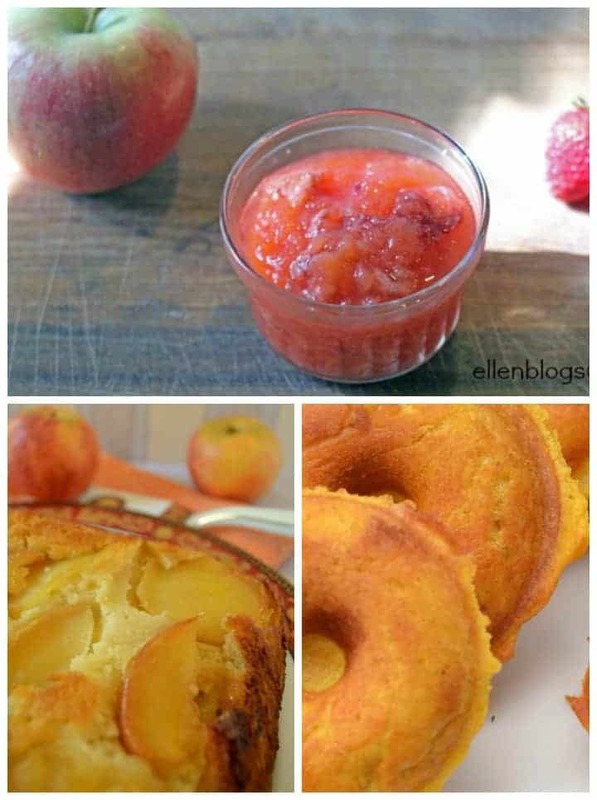 You can make this apple cake or this fun strawberry apple sauce. Or how about these delicious mini pumpkin apple donuts. Not sure which apples to use in your recipes? Check out our guide to all the best apple varieties of fall! Can you tell we love apples? 2 apples cored peeled and finely chopped. I am in love with this apple peeler. Set aside 1/4 cup for topping add remaining flour baking powder baking soda cinnamon and salt to same bowl. Mix well. Slowly stir in milk or butter milk egg vanilla and apples stir until just moistened. These look amazing and relatively healthy! My kids would love these and they are perfect for the fall! Wow this looks so good! I buy apple butter at the farm during the fall and I will be making this for sure after I get some more!